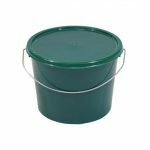 High quality plastic buckets and pails with matching lids. Available directly from the UK manufacturer at the cheapest prices. 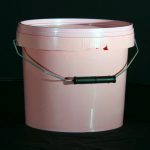 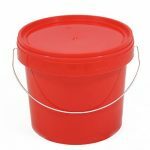 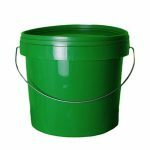 Our pails come in a huge variety of sizes, colours and styles and are available in small or wholesale quantities. 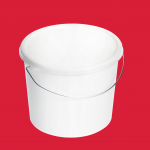 Every one of our food grade buckets come with lids as standard. 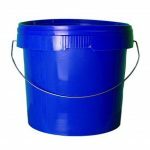 They’re manufactured from polypropylene making them tough and durable. 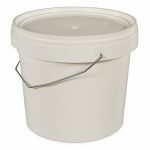 Manufacturers, catering suppliers and chemical companies alike all love our products! 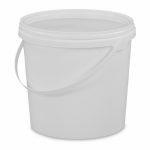 Our plastic buckets and pails are stronger than most of our competitors as we use around 20% more raw materials than the average manufacturer. 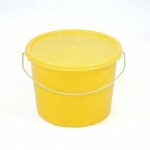 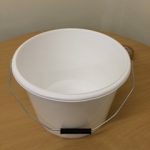 If you’re looking for a strong, food-safe plastic bucket with a lid then you’re in the right place. 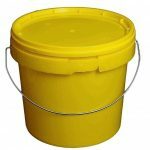 Browse our catalogue to find the best container that fits your needs. 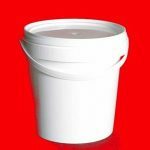 Low-quantity ‘logo-printed’ plastic containers also available.